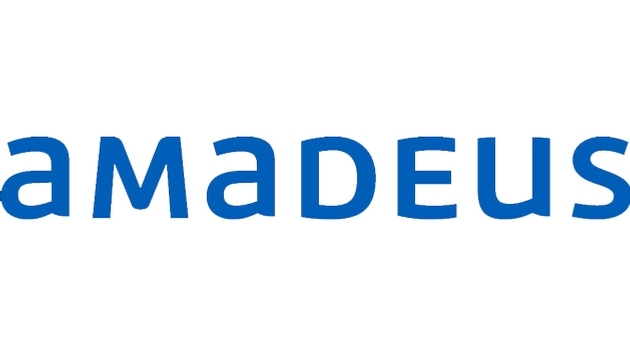 Amadeus IT Holding, S.A., a leading technology partner for the global travel industry, reports year-on-year financial and operating results for the first quarter of 2014 (three months ended March 31, 2014). Adjusted profit for the period grew 8.6 percent to €191.3 million. Comparable growth, excluding the impact from recent acquisitions, was 7.7 percent. This was backed by an increase in revenue of 9.1 percent, to €867.6 million, and 8.7 percent growth in EBITDA, to €351.4 million. Consolidated net financial debt stood at €1,534.3 million, as of March 31, 2014 (based on covenants’ definition in senior credit agreement), representing 1.22x the ratio of covenant net debt to the last twelve months’ covenant EBITDA. During the period Amadeus paid an interim dividend of €133.4 million in respect of the 2013 profit. Even as industry growth picked up pace when compared to the first quarter of 2013, Amadeus continued to outperform its peers. The increase in air travel agency bookings was fueled by a 17.6 percent rise in North America, the positive impact of industry recovery in Western Europe, and the strong growth in the Middle East and Africa (+11.4 percent), which were negatively impacted by political instability in 2013. During the first quarter, content agreements were signed and extended with 16 airlines including United Airlines, while distribution agreements were signed with four new low-cost airlines and hybrid carriers which continue to be an area of growth for Amadeus. Low-cost carriers’ travel agency bookings increased 11 percent compared to the same period of 2013. 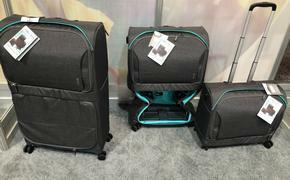 Amadeus’ merchandising suite continued to gain momentum in the first quarter with the launch of Amadeus Fare Families' Display module with Finnair and Brussels Airlines. During the same period, 4 new airlines signed-up for Amadeus Fare Families and 15 new airlines for the Amadeus Ancillary Services solution. In total, 24 airlines are currently distributing their ancillary services through the Amadeus travel agency channel across more than 75 markets with a further 53 airlines signed-up for the solution. On the travel agency side, Amadeus signed a new multi-year agreement with the leading global online travel company Orbitz Worlwide. Under this agreement, Amadeus will deliver its technology and global distribution system services to support the Orbitz brands in North America from January 2015. Airline IT: Asia & Pacific remained the strongest growth region, with an 85.2 percent increase in passengers boarded, driven by the contribution of Asian airlines added to our Altéa platform over the past 12 months, including Thai Airways. This shift towards Asia will continue as further migrations are scheduled, including Korean Air in 2014 and All Nippon Airways –international passengers business – in 2015. Amadeus and Southwest Airlines recently announced the signature of a joint contract to implement Amadeus Altéa reservations solution as the single reservation system for the carrier’s operation. In January Amadeus successfully implemented the first phase of Southwest’s transition to Altéa for its international operations. International flights are now available for sale through Altéa and from July onwards, Southwest Airlines agents will begin checking in passengers using the Amadeus Departure Control System. With the new contract, Amadeus Altéa will also support the carrier’s domestic service. Southwest Airlines will become the largest airline IT partner worldwide for Amadeus, in terms of passengers boarded. Hotel IT: During the first quarter, Amadeus completed the acquisition of US-based Newmarket International for USD 500 million. Newmarket International, which serves around 22,000 unique properties in 154 countries, operates in the group and event management segment of the hotel industry, which is estimated to account for 30-40 percent of a full-service hotel’s revenues. The newly acquired company will be operated as a stand-alone business within Amadeus’ Global Hotel Group and will integrate several Amadeus products and services over time. By the end of the quarter we have also announced the strategic technology relationship signed with InterContinental Hotels Group. The combination of IHG’s industry insight and expertise with Amadeus’ technology capabilities and broad travel experience will ensure that IHG continues to offer the most innovative and efficient technology solutions at all stages of the Guest Journey. Airport IT: Amadeus continued its expansion into the Airport IT space with the acquisition of UFIS, a leading information technology player which brings a complementary suite of airport technology solutions as well as a set of important customer relationships worldwide. Amadeus also launched Amadeus Airport Common Use Service (ACUS), a next-generation platform capable of carrying out all passenger processing functions. During the quarter, Amadeus has signed 7 new ground handlers increasing the total figure to 62. Amadeus has today the leading portfolio of ground handlers signed to its Departure Control System across all continents.